ular trading platforms around is Thinkorswim. Originally it was a product of Thinkorswim Group, Inc., but in 2009 it changed hands and is now a service of TD Ameritrade. The platform can be used to trade numerous different assets including equities, mutual funds, exchange-traded funds, futures, bonds, and foreign exchange currencies. Considering trading forex on Thinkorswim, but not sure yet if you want to take the plunge? In this article, we will teach you everything you need to know about this platform, so you can decide if it is the right fit for you. One of the reasons to choose Thinkorswim is the platform’s reputation. The history of Thinkorswim dates all the way back to 1999. That year the platform was established, initially just for options trading. Through the years that followed, Thinkorswim was affected by quite a few different acquisitions and mergers. The platform achieved a milestone in 2007 when it generated $318 in revenue. As of the year’s end, client assets totaled to nearly $2.6 billion. By the time TD Ameritrade purchased Thinkorswim in 2009, the value of the platform was about $606 million. As mentioned before, you can trade far more than options on Thinkorswim today. With so many years to roll out tools and benefits, Thinkorswim has become one of the most intuitive and feature-rich platforms available to traders on the web. 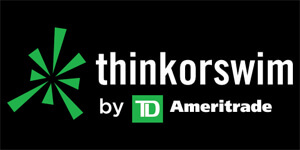 Backed by the TD Ameritrade name, the Thinkorswim brand is now stronger than ever. If you want to use Thinkorswim, you need to open a margin account. This involves filling out a few screens of basic information, agreeing to the terms of service, creating your account and setting a password. You do need to make an initial minimum deposit of $3,500 to get started. This rule applies across the board for all Thinkorswim accounts, regardless of the type. This is a significant sum, but it is less than what you would have to deposit to trade with some other brokers. You will also need to verify your identity. Once your account has been created, you will be able to download the platform. You can install it on any type of computer and may also use it on multiple devices. There is one additional step to trade currencies, which is to scroll down to your account summary and click the button which allows you to add an FX account. Once more you will have terms to sign and documents to provide. You then transfer the money that is in your margin account to your newly created forex account. You do not need to download anything additional at this point. Just keep using the same software. You will notice an ‘FX’ tab which will pull up the forex trading platform. Click on that and you will have the trading interface right in front of you. If you choose to trade through Thinkorswim (rather than just plan your trades—see the next section), the minimum lot size is 10,000. The maximum leverage is 50:1 on major currency pairs. For exotic currency pairs, it is limited to 20:1. One awesome thing about Thinkorswim is that there are no commissions or fees for forex trades. There is however a spread, so just be aware of that when you are planning your trades. Which Forex Brokers Are Offering Thinkorswim? Thinkorswim is a proprietary platform of TD Ameritrade at this point, which means that the platform is available exclusively to TD Ameritrade customers. You cannot link up any other broker accounts. This wasn’t the case in the past, but it all changed when TD Ameritrade took over. That said, that doesn’t mean you cannot make use of Thinkorswim even if you prefer to go through another broker to actually place your trades. It just means you cannot link the two together. In other words, let’s say you love the charting features in Thinkorswim, and you cannot stand the charts your broker offers—but you like that broker for other reasons (perhaps, for example, because they offer you custom lot sizes) and want to use them as your financial intermediary instead of going through TD Ameritrade. What you can do is open accounts at both and use Thinkorswim to plan your trades. You can then hop on over to your broker’s platform to place your trades. That way you get the great tools and features at Thinkorswim to help you get set up for trades, but you are trading with the broker you prefer. It may sound like a pain, but you will get used to it fast, and it is a common practice among forex traders. You already know the basics of Thinkorswim trading regarding opening an account, lot sizes, margin, commissions (or in this case the lack of commissions) and so forth. Now let’s talk about some of the features which make the platform so exciting. One of the best features of Thinkorswim is demo trading. This product is referred to as paperMoney® by TD Ameritrade. When you sign up for a paperMoney® account, you are given a virtual margin account and a virtual IRA. Both are funded with $100,000 of virtual money. With your paperMoney® account, you can practise forex trading without risking your own real funds. This is an indispensable step if you wish to become a successful FX trader, so the tool is likewise a vital one. Another excellent feature of Thinkorswim is advanced technical analysis. After you set up your charts to your liking, you can choose from more than 400 different technical indicators. There are also 20 drawing tools available, eight of them alone Fibonacci tools. Still didn’t find what you need? You can add it in yourself by using thinkScript® to input custom algorithms. Having a hard time coming up with the best strategies for entering and exiting your trades? Use Thinkorswim’s powerful Options Statistics feature to help you optimize your techniques. Another exciting feature is the Sizzle Index™, which allows you to check the current market volume and see how it compares to the average of the past five days. That’s not all either. Thinkorswim offers live streaming news feeds so you can keep up with current financial events on the fly. Additional features to help you trade include Market Maker Move™, Strategy Roller, Market Monitor, and others. And remember, if you enjoy trading forex on Thinkorswim and want to branch out, you can use the same platform to trade stocks, options and more. Now you are familiar with all that the famous Thinkorswim platform has to offer. It allows you to demo test and offers you a rich suite of more than 400 technical indicators to plan your trades. Trading FX through Thinkorswim is commission-free, and its intuitive design makes the platform easy to learn how to use. With TD Ameritrade running the show, you can count on reliability and transparency every step of the way. If you are still searching for the perfect forex broker, give Thinkorswim a try! Q: Why should I choose Thinkorswim as my forex trading platform? A: Thinkorswim is one of the biggest names in forex trading platforms, and for good reason. Along with a proven track record and trusted ownership, Thinkorswim boasts numerous great features and offers fee-free trade execution. Q: What is the minimum deposit to open a Thinkorswim account? A: You only need to deposit $3,500 to open a Thinkorswim forex account. Once your margin account and FX account are both set up, you need to transfer a minimum of $500 from your margin account to your forex account to begin trading. You can however transfer as much as you want, even your entire margin account balance. Q: Is Thinkorswim a scam? A: Thinkorswim is most definitely not a scam. This is one of the longest-standing trading platforms you can use online, and it is currently owned by TD Ameritrade, a company with a rock-solid reputation. Indeed, as of 2017, Ameritrade reported that it had around 11,004,000 customer accounts, and that the assets of all clients totaled $1.118 trillion. Needless to say, a lot of customers trust TD Ameritrade with their money every day and enjoy using the Thinkorswim platform.